In the minds of many of SLC's architecturally inclined, the former Public Safety building is among one of our most revered. A delicious mid-mod high-rise, smack dab in the middle of one of the coolest cities in the US of A? Unheard of. Alas, in recent years, the structure has gone the way of the VHS, the joystick, the floppy disc--nostalgic, sure, but not necessarily needed anymore. In fact, a shiny new Public Safety building has cropped up downtown (itself an architectural feat) deeming the former building all but useless. Until now. 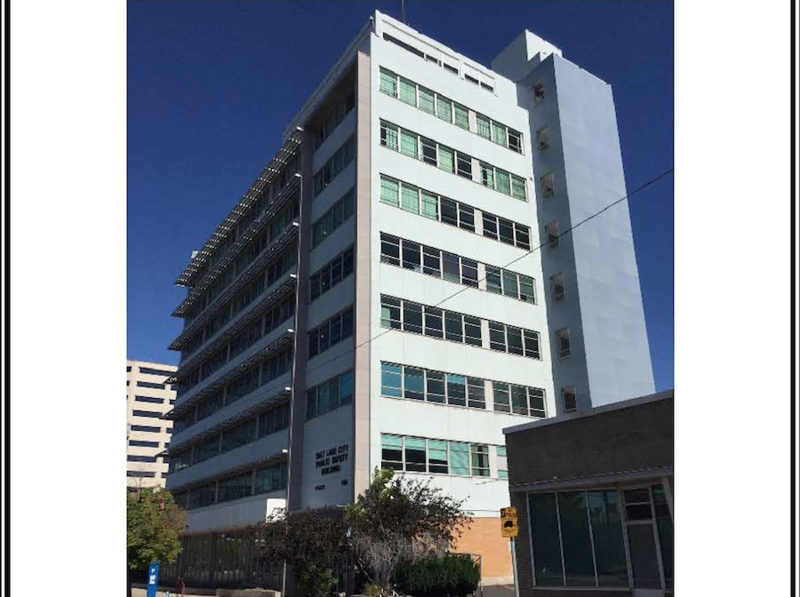 The city of SLC has a few aces up its sleeve in the name of preservation and general do-goodery--they're gearing up for a redevelopment of the former apple of our eye (officially known as the Northwest Pipeline Building). Several District 4 city council candidates, along with neighbors of the 'hood, attended a meeting on July 29th to gather public input on the potential development of the structure and space. Ideas were hurled, plans were hatched, and the city made a presentation about their goals for the project, which include historic preservation, affordable housing, permanent supportive housing, neighborhood commercial space, and open space (all in favor, say hell yes). The city plans to officially release the request for proposals this coming Friday, August 21st at a press event at the building (though only the lobby will be open, errbody is invited), and proposals are officially due to the city on November 20th. According to Utah Heritage Foundation Executive Director (and our COLLECTIVE brother in arms) Kirk Huffaker, it's their goal to "bring in proposals that will make the project a success." Adds he, "There aren't many 2.8 acre sites with this kind of proximity to downtown that are or will be available," so if you've got plans, you best put pencil to paper and show us all what you're workin' with. COLLECTIVELY, we're wishin', hopin', and prayin' for a developer that will respect and preserve the integrity of this heritage-rich and badass building. A mid-century gem in the heart of the city? We'd like nothing more than to see her polished up and proudly displayed. "The integrity of that building is essential," says proud member of Salt Lake Modern--a division of the Utah Heritage Foundation, Cody Derrick. "We need a developer who understands the opportunity to bring to life not just one of the best blocks in our city, but one of the best buildings in our city as well--and who won't desecrate such a unique and prime example of midcentury commercial architecture." We happen to think it's mighty cool of our city's officials to call on their salty citizens for input on the plans for this once and future bustling beauty. "Not only do we want to find a viable and qualified developer for the project," adds Kirk. "But we want the public behind it's rehabilitation." Come one, come all.